When Moira North founded Ice Theatre of New York in 1984, she was determined to focus on three principal activities: building a solid repertory of dance-on-ice, presenting public performances, and implementing educational and outreach programs. These latter programs are crucially important to the Ice Theatre mission. They build new audiences and introduce the values of the athleticism and artistry of figure skating to young children and students. 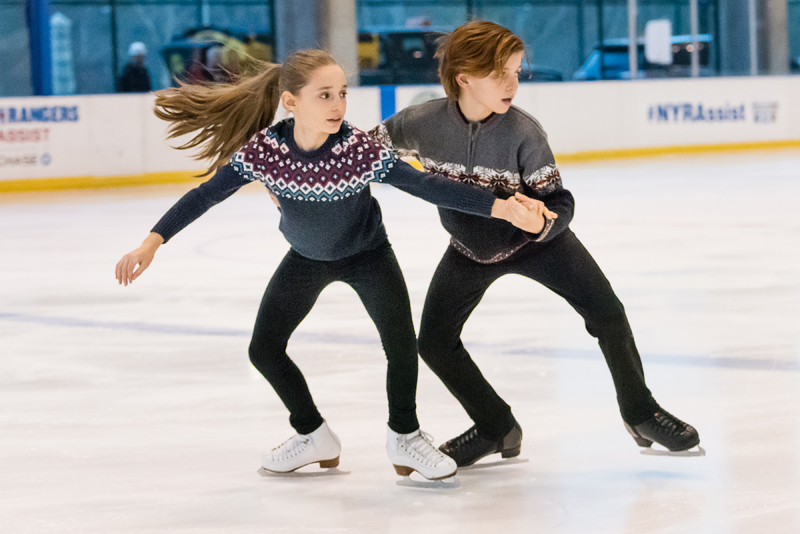 Ice Theatre also has an apprentice program to train virtuosic young skaters in performance skating. Several apprentices who participated in these programs have joined the Company. The New Works and Young Artists Series, ITNY's signature educational program, is an initiative geared towards public school students from Harlem, Washington Heights, the South Bronx, Brooklyn and Queens. 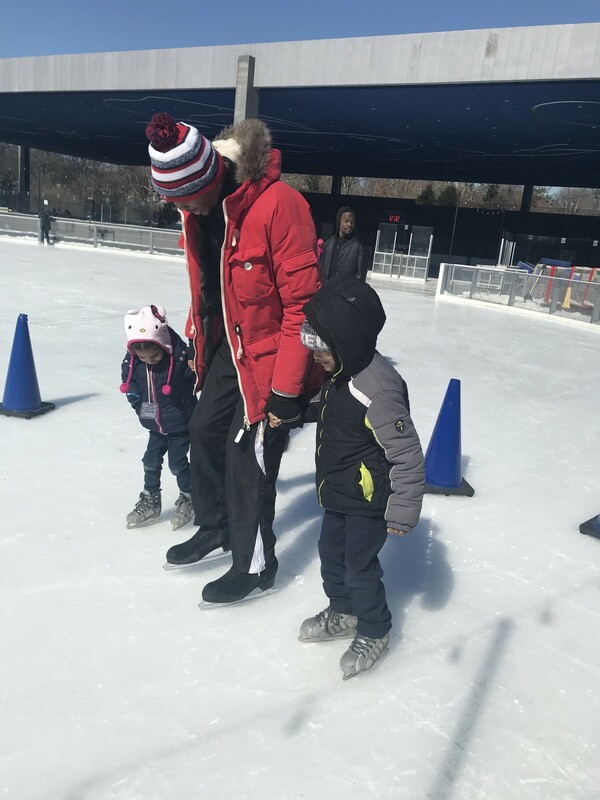 Programming takes place at Riverbank State Park in Harlem, the Lefrak Center at Lakeside in Prospect Park, Brooklyn and The World Ice Arena in Flushing, Queens. In this annual Series dedicated to introducing new audiences of public school children to the beauty and joy of dacing on ice, our talented young apprentices, students themselves, will perform alongside our experienced professional ensemble and guest artists in free performances. 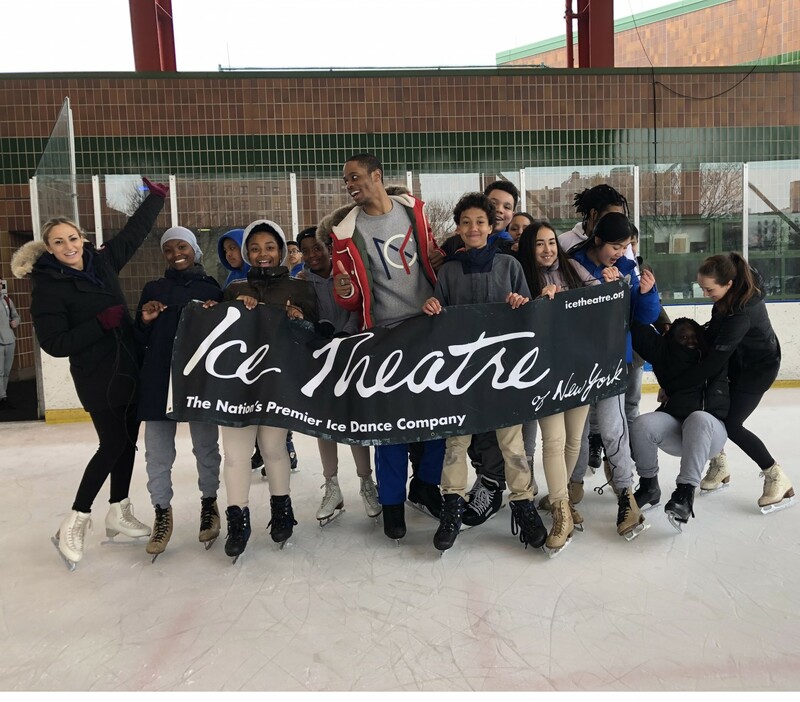 ITNY engages the students in a free skating clinic after the performance taught by the Company teachers. In these programs, young students receive an introduction to a -winter- physical activity. 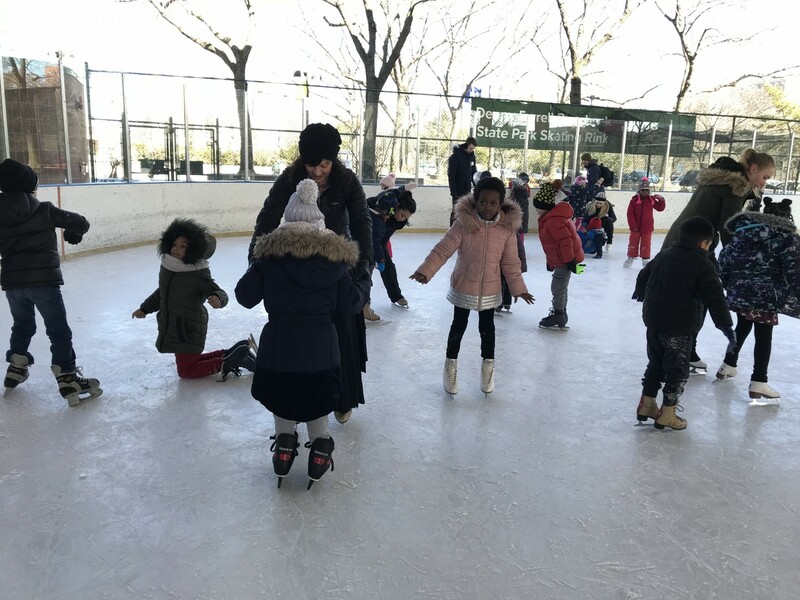 Students also learn that ice skating is more than a competitive sport; they are introduced to the integration of athleticism and artistry necessary to make ice skating - especially as it is practiced and promoted by Ice Theatre of New York - exciting, beautiful, breathtaking, and passionate. Schools must sign up ahead of time. Please contact the office at 212.929.5811 to receive an application packet. "It was a big hit with our students last year and I know it will be this year." ITNY's educational efforts include internal development of the Company through the recruitment and training of apprentices. Ice Theatre includes its apprentices in Residencies and performance projects. Apprentices have the opportunity to study new repertory pieces, work with each other and with choreographers, learn from experienced professional skaters, and gain confidence from audience support and performing. This training program prepares apprentice skaters for a new, more mature level of performance.